Do you see the common threads among your best people? What are they? There are more then you see - trust me. Do you know how to use these threads to drive your overall Human Capital Strategy and the 7 underlying strategies? Do you see how much money you can save and make by using these threads? Let us help you! 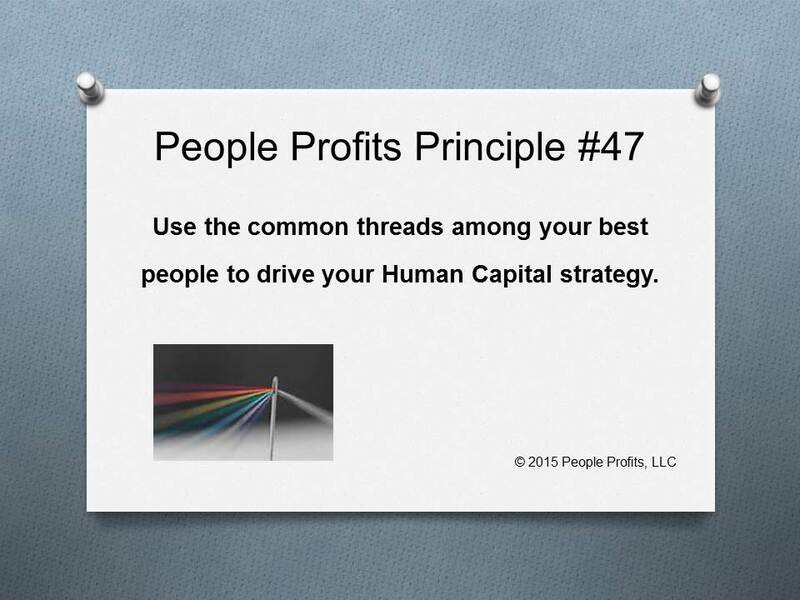 People Profits has found that in any organization there are common threads that are in all of the best people. Many times some of the common threads are obvious - others are not. Identifying these common threads and using them to drive your Human Capital strategy will create engagement, reduce turnover and light the fuse of awesome recruiting.